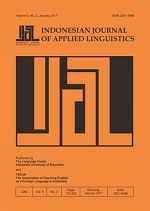 Indonesian Journal of Applied Linguistics (pISSN: 2301-9468 and eISSN: 2502-6747) is a journal that publishes original papers researching or documenting issues in applied linguistics. 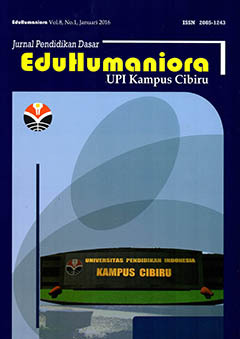 It is published by UPT Balai Bahasa, Universitas Pendidikan Indonesia. This journal is indexed in DOAJ, EBSCO, Google Scholar, Scopus, and SINTA (S1). Since Volume 7, the journal has regularly published three times a year in January, May, and September. We accept original research, conceptual, and best practice articles related to applied linguistics. The language studied can be any language such as but not limited to Arabic, English, French, German, Indonesian, Japanese, Korean, indigenous and modern languages. It is important to bear in mind that the official language of the journal is English. 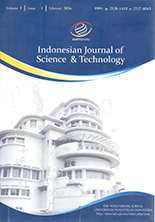 The Indonesian Journal of Science and Technology (IJoST) (ISSN: e.2527-8045 p.2528-1410) is an open access and peer-reviewed journal, published by Universitas Pendidikan Indonesia, which is a dissemination medium for research result from scientists and engineers in many fields of science and technology. IJoST is a biannual journal issued on April and September. The editors welcome submissions of papers describing recent theoretical and experimental research related to: (1) Theoretical articles; (2) Empirical studies; (3) Practice-oriented papers; (4) Case studies; (5) Review of papers, books, and resources. Focus and scope for IJoST can be seen detailed in here. 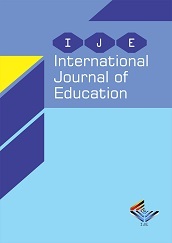 Welcome to the International Journal of Education (IJE) website. IJE (eISSN: 2442-4730 and pISSN: 1978-1342) is the first open access and double-blind peer-reviewed international journal managed by Universitas Pendidikan Indonesia, which exclusively focuses on education. 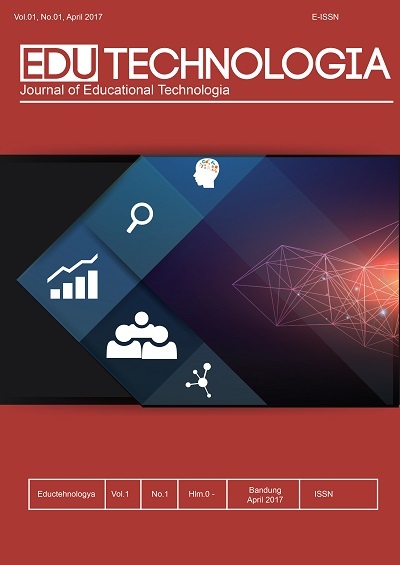 This first international journal is a part of the University’s strong commitment to education, which is expected to be the medium for the exchange of ideas, knowledge, information, and technology among experts and practitioners of education. 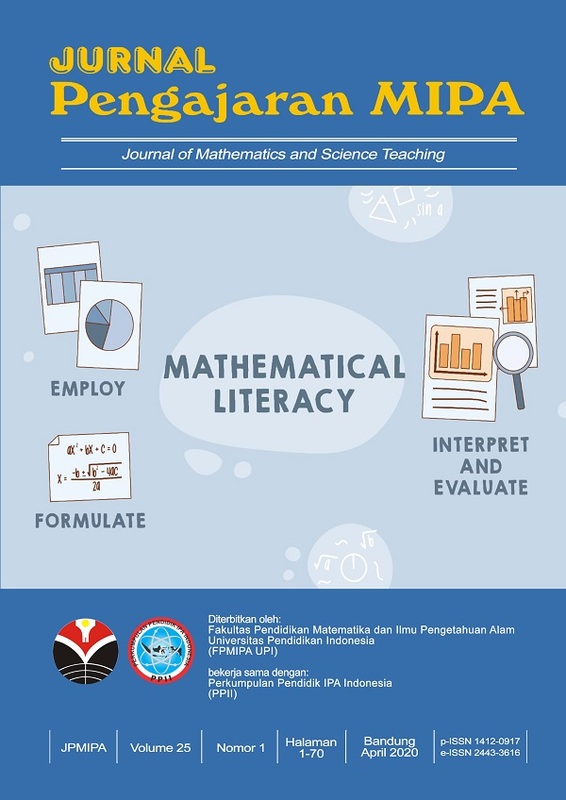 Journal of Mathematics and Science Teaching or Jurnal Pengajaran Matematika dan Ilmu Pengetahuan Alam (JPMIPA) was founded in 1993 and published qualitative and or quantitative research concerning mathematics and science teaching. JPMIPA is published by Faculty of Mathematics and Science Education Universitas Pendidikan Indonesia (FPMIPA-UPI) in association with Indonesian Society for Science Educators (JPII), twice a year in April and October with 16 articles per number or 32 articles per year. We aspire to become a journal which contributes to math and science teaching improvement by spreading knowledge that all stakeholder engaged in mathematics and science teaching can be able to benefit from. As of 26 May 2016 we are recognized as Nationally Accredited Journal by Indonesia Directorate of Higher Education (DIKTI) via Decree No. 36a/E/KPT/2016. This journal was first published on March 11, 2016, and it is issued every March and September. 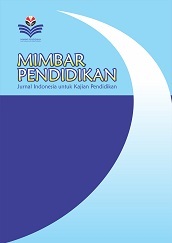 MIMBAR PENDIDIKAN is a new version of the old journal with the similar name that was published from 1995 to 2005. 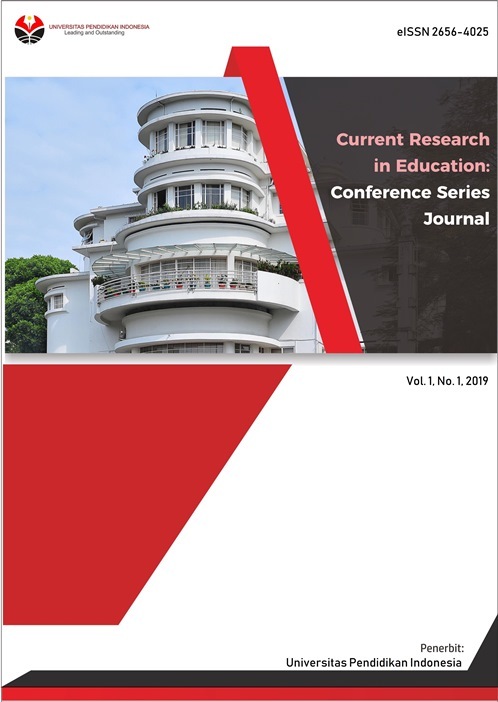 This journal is dedicated not only for Indonesian scholars who are concerned with educational studies, but also for scholars of Southeast Asian countries and around the world who care and want to share thoughts and ideas related to educational studies in general. MIMBAR PENDIDIKAN journal is organized by the Lecturers of UPI (Universitas Pendidikan Indonesia's Journal Developer Team); and is published by UPI Press,Bandung, West Java, Indonesia. The articles published in MIMBAR PENDIDIKAN can be in English, Indonesian or Malay language. MIMBAR PENDIDIKAN journal is devoted, but not limited to, primary education, secondary education, higher education, teacher education, special education, adult education, non-formal education, and any new development and advancement in the field of education. The scope of our journal includes: (1) Language and literature education; (2) Social sciences and humanities education; (3) Sports and health education; (4) Economy and business education; (5) Math and natural science education; (6) Vocational and engineering education; and (7) Visual arts, dance, music, and design education. 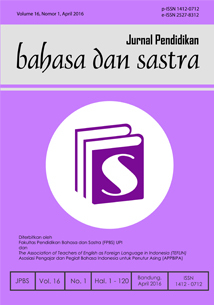 JURNAL PENDIDIKAN BAHASA DAN SASTRA (Journal of Language and Literature Education) is published by Faculty of Language and Literature Education, Universitas Pendidikan Indonesia. It publishes research-based articles in the field of language, literature, and its teaching and learning. It is published twice a year, namely in April and October. The scopes of the topics include: 1) Foreign language learning, Indonesian language, vernacular language and Malay language learning; (2) Linguistics; (3) Applied Linguistics, and; (4) Literature. Articles can be written in English, Indonesian or Malay. JURNAL PENDIDIKAN BAHASA DAN SASTRA is recognized as Nationally Accredited Journal by Ministry of Research, Technology, and Higher Education (KEMRISTEKDIKTI) via Decree No.21/E/KPT/2018 - 09 July 2018. FRANCISOLA: Revue indonésienne de la langue et la littérature françaises (e-ISSN: 2527-5100 | p-ISSN: 2527-5097) is a double-blind peer-reviewed international journal of French language and literature. 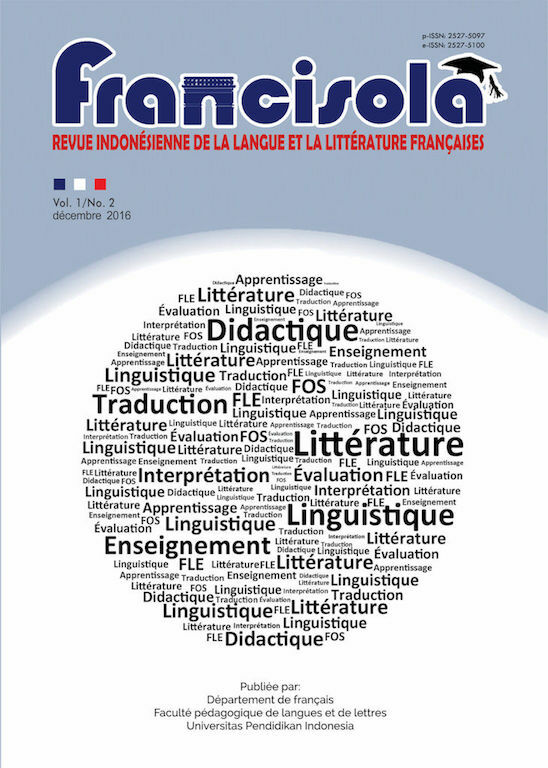 This journal is published, twice a year: at the end of June and at the end of December, by the Department of French Language Education, Faculty of Language and Literature Education - Universitas Pendidikan Indonesia, in collaboration with Association des Professeurs de Français d'Indonésie (APFI) which is member of Fédération Internationale des Professeurs de Français (FIPF). We publish research articles (in French and/or in English) on various subjects related to French language and literature, in the broad sense, and also to its teaching, which has never been published in other scientific journals. Focus and scope of the journal can be seen detailed in here. Journal of Science Learning (JSL) (ISSN 2614-6568) is an open access and peer-reviewed journal published by Universitas Pendidikan Indonesia. The work collaborates with Indonesian Society for Science Educators. It serves original articles on the latest issues and trends in high quality research and theoretical position papers concerning preservice and in-service education of science teachers. The article offers ways to improve classroom science teaching and learning, and professional development. JSL is a triangual journal issued on March, July, and November. 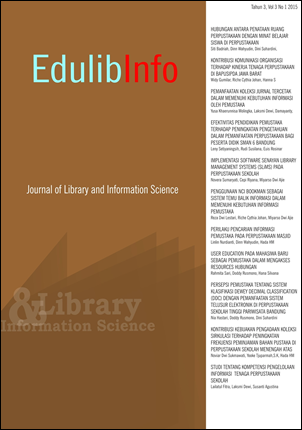 Edulib journal of library and information science was founded in 2011 by the LIS (Library and Information Science), Department of Curriculum and Educational Technology, Faculty of Education, Indonesia University of Education. Edulib Journal is a peer reviewed journal which can be a forum for researchers, professors, students, and practical field of library, information and communication to publish their work widely. EDULIB: Journal Library and Information Science, with registered number ISSN 2089-6549 (print), ISSN 2528-2182 (online) is a scientific multidisciplinary Journal that published by Prodi Perpustakaan dan Ilmu Informasi Universitas Pendidikan Indonesia in the national level that covered many main problems in the science of library and information. Edulib, practitioners in the field of LIS focuses on the main problems in the development of the information science, documentation science, library science, archieve, librarianship, and ICT in Library. It covers the theoretical and general aspects of Institutional management of information, information and libraries, libraries and communities in the 3.0 Era, libraries in all areas of education (formal, informal, informal), entrepreneurship information services, social librarianship, child and youth librarianship, curriculum and learning libraries, information literacy in all aspects of life, information society, and digital archives. Kindly read these guidelines carefully. Authors who want to submit their manuscript to the editorial office of EduLib should obey the writing guidelines. If the manuscript submitted is not appropriate with the guidelines or written in a different format, it will be REJECTED by the editors before further blind-folded review. The editors will accept only the manuscripts which meet the guidelines and formats as assigned. Mimbar Sekolah Dasar is an international, peer-reviewed, multidisciplinary, and open-access journal that is online publishes three times a year every April, August, and December. Mimbar Sekolah Dasar only publishes articles in studies related to elementary school students, elementary school teachers, and pre-service elementary school teachers, in the scope of teaching and learning, curriculum and development, assessment and instruction, school management, educational counseling, educational policy, and STEM in primary education. 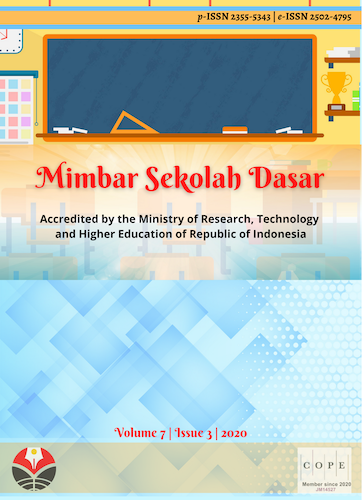 Mimbar Sekolah Dasar with eISSN 2502-4795 has been accredited by the Ministry of Research, Technology and Higher Education of Republic of Indonesia (Decree: 30/E/KPT/2018). We invite researchers and scientists from all over the world to submit the high-quality manuscript. Mimbar Sekolah Dasar has been indexed by ULRICHWEB, Microsoft Academic, BASE, OAJI, WorldCat, SINTA 3, Google Scholar, CiteFactor, Dimensions, SHERPA/ROMEO, Garuda, Udledge, Asian Digital Library, Crossref, CNKI Scholar, SJIF, Eurasian Scientific Journal Index, International Scientific Indexing, Journal Factor, etc. Jurnal Edutech adalah jurnal majalah ilmiah di Program Studi Teknologi Pendidikan Universitas Pendidikan Indonesia yang terbit sebanyak tiga kali dalam setahun pada bulan Februari, Juni, dan Oktober. Semua artikel yang dikirim melalui proses peer review double blind dan ulasan editor sebelum di publikasikan.Jurnal Edutech atau kepanjangan dari Educational Technology ini menerima artikel tentang pendidikan, teknologi pendidikan dan komunikasi. 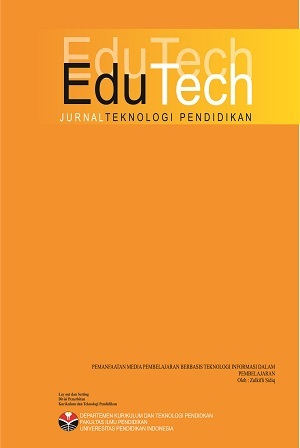 Jurnal Edutech peer reviewed journal yang bisa mewadahi bagi para peneliti dosen, mahasiswa praktisi di bidang pendidikan, teknologi pendidikan dan komunikasi untuk mempublikasikan karyanya secara luas. Jurnal Penelitian Pendidikan (JPP) is one of the media for dissemination of information research results in the field of education which aims to communicate the various results of studies that can serve as the basis of scientific development to create educational innovation that emphasized on improving the quality of education. Jurnal Penelitian Pendidikan is a change of name from Warta Penelitian Pendidikan, first published on October 20, 1980, then in 1987 changed the name to Mimbar Pendidikan with the ISSN 0215-2894. And since 2001 changed to Jurnal Penelitian Pendidikan with the ISSN: p.1412-565X e.2541-4135. Jurnal Penelitian Pendidikan is published by Lembaga Penelitian Dan Pengabdian Kepada Masyarakat (LPPM) Universitas Pendidikan Indonesia. Jurnal Riset Akuntansi dan Keuangan with registered number ISSN 2338-1507 (Print) and ISSN 2541-061X (Online) is published by Program Studi Akuntansi Fakultas Pendidikan Ekonomi dan Bisnis Universitas Pendidikan Indonesia. It is published thrice a year in April, August, and December. 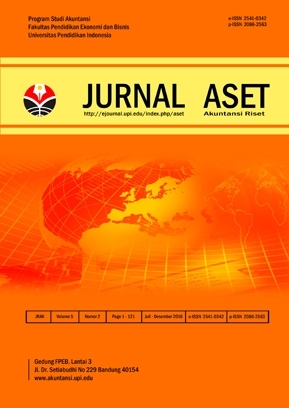 Jurnal Riset Akuntansi dan Keuangan Publishes papers in the field of accounting and finance that give a contribution to the development of accounting science, accounting practices, the accounting profession, and finance. We accept mainly research-based articles related to accounting science and finance. The scopes of the topics include Management Accounting, Financial Accounting, Public Sector Accounting, Sharia Accounting, Accounting Information Technology, Auditing, Professional Ethics, Accounting Education, Banking, and Finance. Editorial Team welcome submissions of papers describing researchers, practitioners, regulators, students, and other parties interested in the development of accounting science, accounting practices, the accounting profession, and finance. 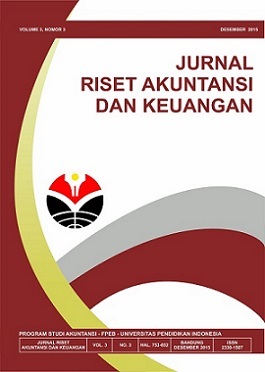 Jurnal Riset Akuntansi dan Keuangan accepts manuscripts of either quantitative research, qualitative research, mix method research, and Research and Development (R&D) written in either Bahasa Indonesia or English. Digital Object Identifier. Wahana Fisika (e-ISSN: 2549-1989 http://ejournal.upi.edu/index.php/wafi/), peer-reviewed journal, offers an opportunity to publish scientific research related to physics and its applications. This journal is published by Physics Study Program, Universitas Pendidikan Indonesia and collaborated with Perkumpulan Pendidik IPA Indonesia (PPII). This journal has been started from Volume 1 No. 1 Year 2016 until now and has been indexed by DOAJ (Directory of Open Access Journal) SINTA Research Technology and Higher Education Ministry, Google Scholar , and also Crossref Metadata Search. It is published twice a year in June and December. We recognize mainly research-based articles related to physics and applied physics. INVOTEC (ISSN: e.2451-1336 p.11411-5514)is an internationally peer-reviewed journal devoted to the study and innovations in vocational technology education. Areas of interests include policies, philosophy, management, learning process, learning media and materials, teaching models and methods, and teaching evaluation. INVOTEC publishes two issues, in February and August, annually. It is published in cooperation with APTEKINDO (The Indonesian Association of Technical and Vocational Education). International Journal Pedagogy of Social Studies with registered number ISSN 2550-0600 (print) and ISSN: 2549-6530 (online). Published by Department of Social Studies Education and ALUMNI Association of Social Studies Education. Faculty of Social Studies Education. Indonesia University of Education. International Journal Pedagogy of Social Studies is a peer-reviewed journal published twice times a year (June and December). International Journal Pedagogy of Social Studies is an international journal that has coverage on Education Social Sciences which have relevance to science education, sociology, politics, history, economics, geography, anthropology, history of contributing to the formation of good citizens within the framework of Education Social Sciences. Jurnal Administrasi Pendidikan (JAP) published on 2003 with the ISSN: p.1412-8152 e.2580-1007 and issued by Program Studi Administrasi Pendidikan Sekolah Pascasarjana Universitas Pendidikan Indonesia. 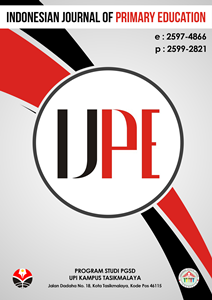 JAP is a journal that focuses on publishing qualitative and quantitative research articles in the scope of Educational Administration including Leadership, Planning, Human Resources, Finance, Curriculum, Facilities and Infrastructure, Public Relations, Student Affairs, Learning and Management Education, and Organization. 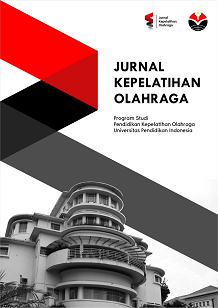 Jurnal Pendidikan Jasmani dan Olahraga (JPJO), peer-reviewed journal (print and online) published by Departemen Pendidikan Olahraga, Universitas Pendidikan Indonesia, which was founded in 2009 and regularly publish online since 2016. It publishes articles of a high standard on various aspects of the Physical Education covering a number of disciplinary bases, including instructional models; teaching approach in Physical Education; Teaching Style in Physical Education ; Teaching method in Physical Education; Content and curriculum knowledge in Physical Education; Children and Context knowledge in Physical Education; other disciplinary perspectives on Sport Education. 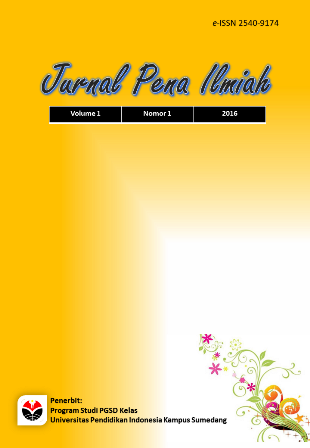 The journal is published in Bahasa and English. Accepted papers will immediately appear online followed by printed in hard copy. The e-journal provides free and open access to all of its content on our website. This journal is Nationally Accredited by Directorate General of Higher Education according to the decree No. : 21/E/KPT/2018 with Third Grade at July 2018 by Ministry of National Education, Indonesian. 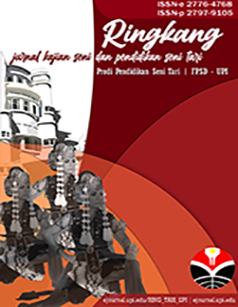 PEDAGOGIA (e-ISSN 2579-7700, p.ISSN 1693-5276 is a peer-reviewed (double blind review) journal published by Faculty of Education, Indonesia Univerity of Education. The goal of this journal is to facilitate scholars, researchers, and teachers for publishing the original research articles or review articles. 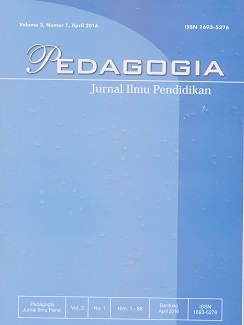 Pedagogia : Jurnal Ilmu Pendidikan is available in print and online version. PEDAGOGIA published three editions in one year in April, August and December. Jurnal Ilmu Manajemen dan Bisnis with registered number ISSN 2337-411X (Print) and ISSN 2503-3522 (Online), is a peer-reviewed journal published two times a year (March and September) by Master in Management Program Sekolah Pascasarjana Universitas Pendidikan Indonesia. 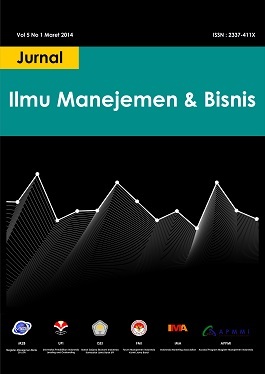 Jurnal Ilmu Manajemen dan Bisnis is intended to be the journal for publishing articles reporting the results of research on business. Jurnal Ilmu Manajemen dan Bisnis invites manuscripts in the various topics include Organizational Behavior, Leadership, Human Resources Management, Innovation, IT, Operations and Supply Chain Management, Marketing Management, Financial Management, Accounting, Strategic Management, Entrepreneurship, and Green Business. The objective of SOSIETAS as Journal of Sociology Education is to publish outstanding and original articles which advance the theoretical understanding of, and promote and report empirical research about the widest range of sociological topics. The journal encourages, and welcomes, submission of papers which report findings using both quantitative and qualitative research methods; articles challenging conventional concepts and proposing new conceptual approaches; and accounts of methodological innovation and the research process. Research Notes provide a means of briefly summarising results from recent or current studies or short discussions of methodological problems and solutions. Critical review essays and book reviews are seen as ways of promoting vigorous scholarly debate. SOSIETAS publish twice a year in March and September. 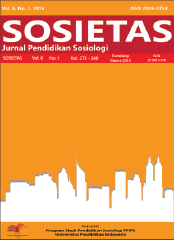 SOSIETAS is published by Sociology Education Study Program, Faculty of Social Science Education, Universitas Pendidikan Indonesia. SOSIETAS editors ensure that the article publishing process runs objectively through a double-blind review. 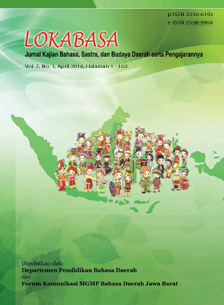 Lokabasa is a journal of language studies, literature, regional culture and teaching. This journal is published by the Department of Sundanese Language Education, The Faculty of Language and Literature Education, Indonesia University of Education (UPI), in cooperation with The Forum of Sundanese Language Teachers Communication, West Java Province. Published twice a year in April and October, contains articles/articles of thought and research written by experts, scientists, practitioners and reviewers in the language, literature, and culture disciplines of the region, and their teaching. Jurnal Pendidikan Akuntansi dan Keuangan published by Program Studi Pendidikan Akuntansi Fakultas Pendidikan Ekonomi dan Bisnis Universitas Pendidikan Indonesia with registered number e-ISSN 2656-3266 and p-ISSN 2337-408X (Print). It is published twice a year in Januari-Juni dan Juli-Desember. Jurnal Pendidikan Akuntansi dan Keuangan Publishes papers in the field of accounting and finance of Education that give a contribution to the development of accounting education, accounting science, and finance. We accept mainly research-based articles related to accounting science and finance. The scopes of the topics include  Education include : Accounting Education, Financing Education, Accounting Learning Model, Entrepreneur in Accounting, Accounting Learning Media  Accounting Science include : Management Accounting, Financial Accounting, Public Sector Accounting, Sharia Accounting, Accounting Information Technology, Auditing, Professional Ethics, Accounting Education,  Banking and Finance. Editorial Team welcome submissions of papers describing researchers, practitioners, regulators, students, and other parties interested in the development of accounting education, accounting science and finance. Jurnal Pendidikan Akuntansi dan Keuangan accepts manuscripts of either quantitative research, qualitative research, mix method research, and Research and Development (R&D) written in either Bahasa Indonesia or English. Digital Object Identifier. Jurnal Geografi Gea is the information media academics and researchers who have attention to developing the educational disciplines and disciplines of Geography Education in Indonesia. GEA taken from the Greek Ghea means "God of Earth." Jurnal Geografi Gea provides a way for students, lectures, and other researchers to contribute to the scientific development of Geography Education. 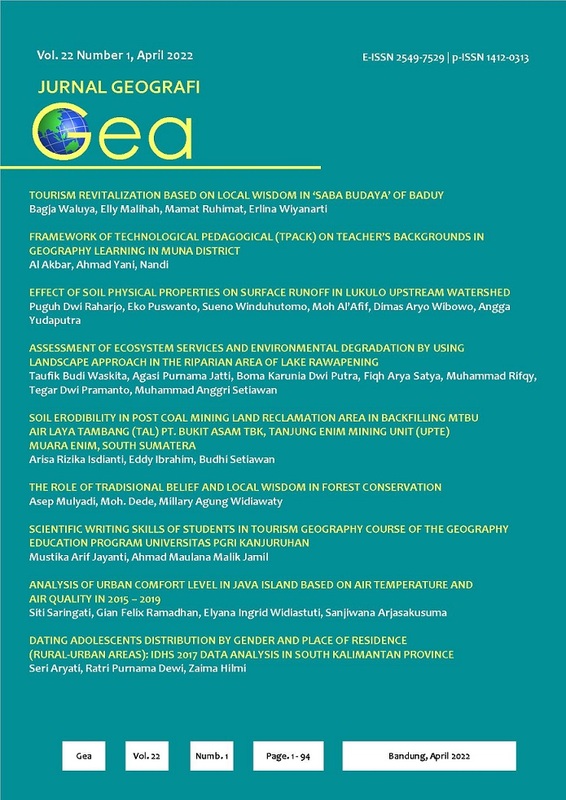 GEA received numerous research articles in the field of Geography Education Science and Geography. 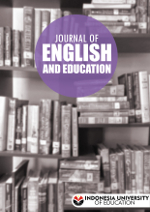 JAPANEDU: Jurnal Pendidikan dan Pengajaran Bahasa Jepang (e-ISSN:2528-5548) is an online, open access peer-reviewed journal, which is published by Universitas Pendidikan Indonesia twice a year (every June and December). This journal is for all contributors who concern with researches related to Japanese language education studies. JAPANEDU: Jurnal Pendidikan dan Pengajaran Bahasa Jepang provides a forum for publishing the original research-based and review articles from contributors, related to Japanese culture, Japanese literature, and Japanese language teaching/learning, which have never been published before. 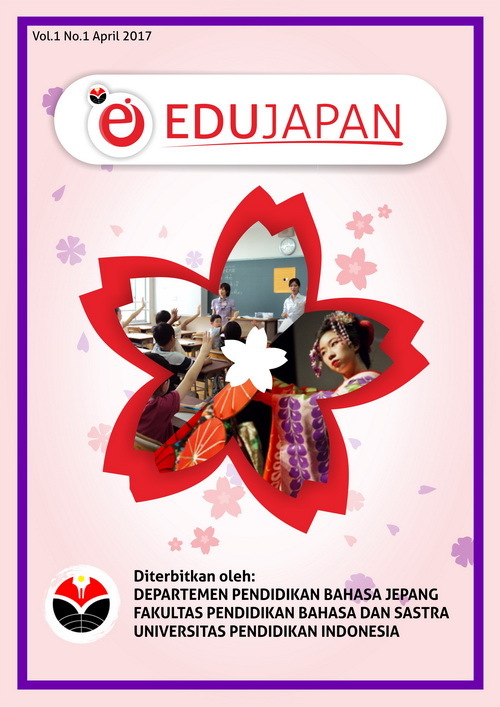 The articles published on JAPANEDU can be written in Indonesian, English, or Japanese. All manuscripts are peer-reviewed by at least two reviewers who are competent in related fields. merupakan manuskrip berkualitas yang menerbitkan hasil penelitian, pemikiran-pemikiran, maupun tulisan akdemik, khususnya yang berkaitan dengan bidang kepariwisataan. Jurnal ini memfokuskan pada kajian pengembangan dan pengelolaan destinasi wisata, pariwisata berkelanjutan, hospitality, dan community based tourism. Jurnal diterbitkan dua kali dalam setahun pada bulan Mei dan Oktober. Editor Jurnal Manajemen Resort & Leisure memastikan bahwa proses penerbitan artikel berjalan secara obyektif melalui tinjauan double-blind. 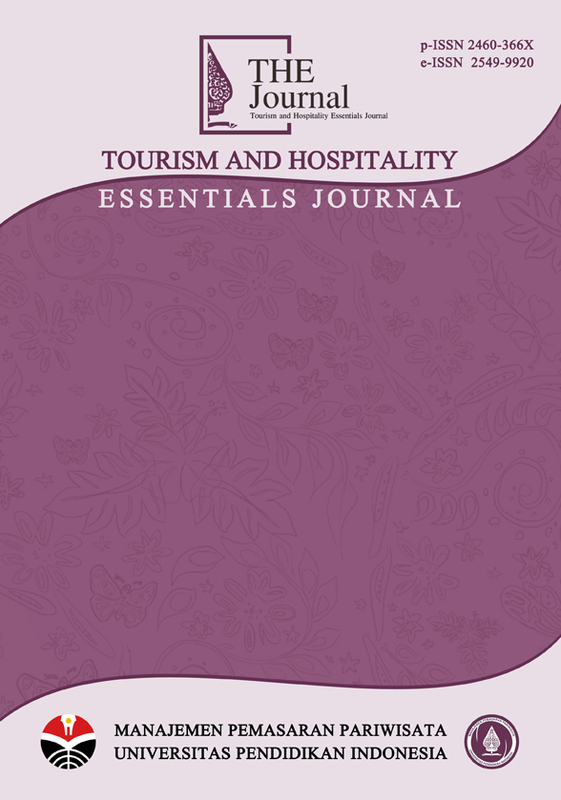 The Journal: Tourism and Hospitality Essentials Journal (e-ISSN: 2549-9920 and p-ISSN 2460-366X) is a collection of articles of academic publication. The article could be based on conceptual or empirical research using the qualitative, quantitative, or mixed method approach. Tourism and hospitality themes within the field of management, marketing, planning, strategic management, financial and investment, sociology, geography, education, technology and information system, anthropology, law, and other related disciplines are encouraged to participate in this journal. The article would be peer-reviewed before being published, therefore, it is encouraged to comply with ethics for the publications. The Journal started the publication in 2011 and is organized by Tourism Marketing Management Study Program, Universitas Pendidikan Indonesia. The editors welcome the participation of authors to submit original papers that have never been published in other media and in other languages. Journal of Mechaninal Engineering Education merupakan jurnal yang mendeseminasikan hasil penelitian dalam bidang pendidikan teknik mesin (vocational education in mechanical engineering). Terbit tiap bulan Juni dan Desember setiap tahunnya. Jurnal EDUFORTECH merupakan sarana pengembangan dan publikasi karya ilmiah bagi para peneliti, dosen dan praktisi di bidang teknologi pengolahan hasil pertanian, dan pendidikan teknologi agroindustri. EDUFORTECH diterbitkan oleh Program Studi Pendidikan Teknologi Agroindustri UPI, dua kali dalam setahun. Dewan Redaksi menerima artikel baik dalam bahasa Indonesia maupun bahasa Inggris terutama yang merupakan hasil penelitian dalam bidang teknologi pengolahan dan pengawetan pangan; bioteknologi pangan; teknologi pengolahan pangan fungsional; keamanan pangan; pendidikan teknologi hasil pertanian dan topik lain yang relevan. 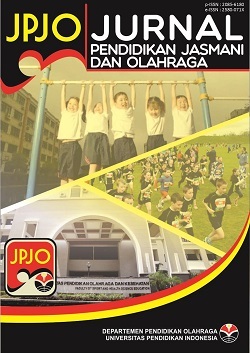 Jurnal Kepelatihan Olahraga (JKO) is a media for widespread the results of research, studies and ideas in the field of sports coaching. It is published by the Department of Sports Coaching Education, Indonesia University of Education. 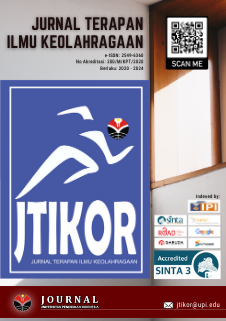 This Jurnal Kepelatihan Olahraga (JKO), firstly published offline/printed in 2009 and then registered nationally since 2012 with the ISSN number: 2086-339X. So far, the sports training journal has been published in 10 volumes with each volume consisting of two (2) series. This print journal is regularly published two (2) times in June and December. Along with the development of the times, there are changes in the management of journals, that is from offline/print management to online management systems published in March and September 2019. Jurnal Pendidikan Luar Sekolah sebagai jurnal pendidikan sosial dan pembangunan masyarakat yang mempublikasikan hasil penelitian dan artikel dalam kajian pendidikan orang dewasa, pendidikan sepanjang hayat, penyelenggaraan pendidikan dan pembelajaran dalam setting pendidikan nonformal dan informal. Jurnal ini diterbitkan 2 kali dalam setahun yaitu pada Bulan April dan Oktober. 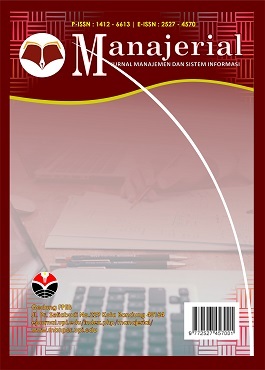 JURNAL MANAJERIAL (ISSN: 1412-6613 & E-ISSN: 2527-4570) merupakan Jurnal Manajemen dan sistem informasi sebagai wahana untuk menyebarluaskan hasil penelitian, kajian dan gagasan di bidang manajemen dan sistem informasi yang dipublikasikan oleh Program Studi Pendidikan Manajemen Perkantoran, Fakultas Pendidikan Ekonomi dan Bisnis (FPEB) Universitas Pendidikan Indonesia (UPI). Terbit pertama Tahun 2002. Mendapatkan ISSN Cetak dari LIPI Tahun 2007. Sedangkan ISSN Online Tahun 2016. Jurnal Manajerial terbit setahun dua kali yaitu Januari dan Juni setiap tahunnya. Visi Jurnal Manajerial adalah menjadi jurnal dalam bidang manajemen dan system informasi yang terujuk oleh akademisi dan praktisi manajemen dan administrasi perkantoran. Tujuan Penerbitan jurnal adalah sebagai sarana untuk mengaktualisasikan dan mempublikasikan karya ilmiah dalam bidang manajemen dan system informasi bagi akademisi dan praktisi manajemen dan administrasi perkantoran. 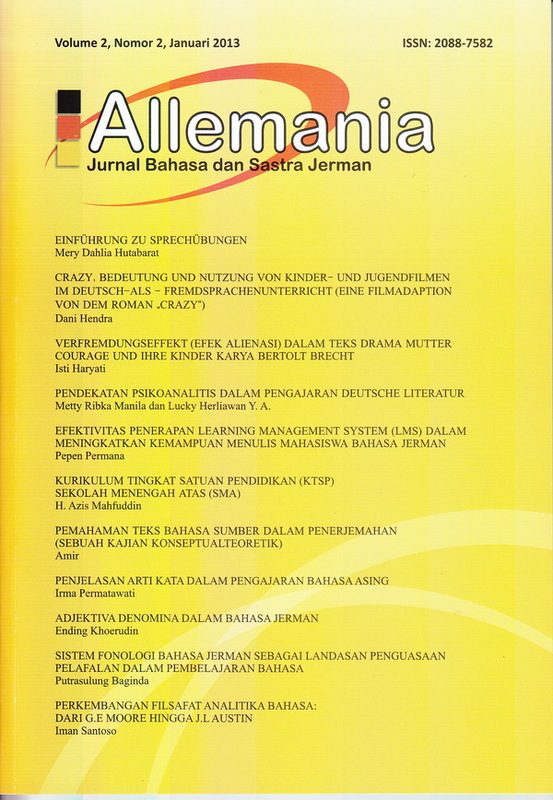 Jurnal Bahasa dan Sastra Jerman. Terbit setahun dua kali setiap bulan Juni dan Desember, berisikan artikel hasil penelitian, kajian (teori maupun aplikasi) serta resensi pustaka sekitar pendidikan bahasa dan sastra Jerman. Jurnal Pena ilmiah adalah jurnal ilmiah edisi online yang berbasis skripsi hasil-hasil penelitian dalam ranah pendidikan guru sekolah dasar. Penelitian meliputi desain penelitian tindakan kelas, eksperimen, studi kasus, dan lain-lain. Scope penelitian meliputi model, metode, strategi, pendekatan, dan media pembelajaran. Jurnal Pena Ilmiah dikelola oleh Program Studi PGSD Kelas Universitas Pendidikan Indonesia Kampus Sumedang. Journal Strategic with registered number ISSN 1412-1964 (Print) and ISSN 0000-0000 (Online), is a peer-reviewed journal published two times a year (May and September) by Business Education Program, Faculty of Economic and Business Education, Universitas Pendidikan Indonesia. 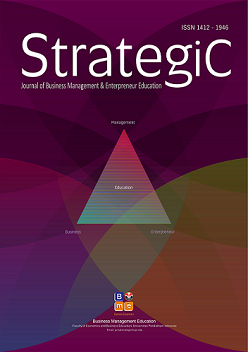 Journal Strategic is intended to be the journal for publishing articles reporting the results of research on business and entrepreneurship education. Journal Strategic invites manuscripts in the various topics include Organizational Behavior, Leadership, Human Resources Management, Innovation, IT, Operations and Supply Chain Management, Marketing Management, Financial Management, Accounting, Strategic Management, Entrepreneurship and Education. Journal Strategic cooperation with Ikatan Sarjana Ekonomi Indonesia (ISEI) Jawa Barat, Forum Manajemen Indonesia (FMI), Indonesia Marketing Associations. 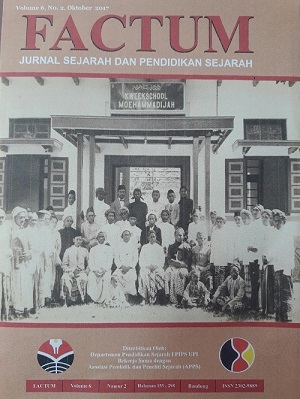 HISTORIA: Jurnal Pendidik dan Peneliti Sejarah, published by the Department of History Education, University of Education Indonesia (UPI). HISTORIA: The Journal of Educators and Researchers History was first published on June 15, 2000. Journal Historia is published twice annually in October and April. 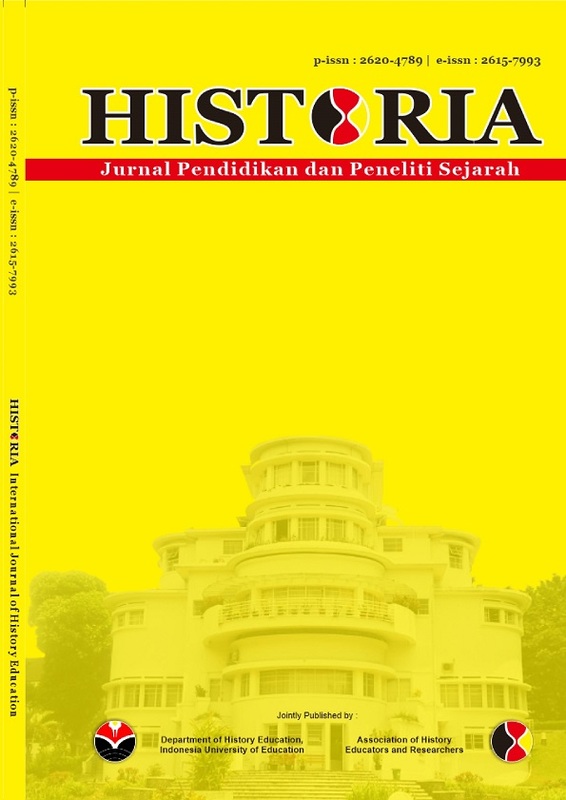 Journal Historia is a collaboration between the Association of Educators and History Researchers (APPS) with the Department of History Education, University of Education Indonesia (UPI). Historia encourages systematic study and research in historical and historical education. Jurnal FamilyEdu merupakan wahana penyaluran dan penyebarluasan hasil penelitian, kajian dan gagasan di bidang pendidikan khususnya Pendidikan Kesejahteraan Keluarga. Redaksi menerima sumbangan tulisan dari penemuan hasil penelitian dan kajian di bidang Pendidikan Kesejahteraan Keluarga. Redaksi berhak menambah, mengurangi dan melengkapi tulisan yang masuk, dengan tidak mengubah substansi isi tulisan. FamilyEdu Journal is a media distribution and dissemination of research results, studies and ideas in the field of education, especially Family Welfare Education and Home Economiccs Education. The editors receive written contributions from research findings and studies in the field of Family Welfare Education. The editors have the right to add, subtract and complete the incoming entries, without altering the content of the content. Jurnal TORSI ini diterbitkan dengan sasaran untuk mempublikasikan hasil penelitian yang orisinal, pemikiran, dan pandangan serta penyebarluasan ilmu bidang teknik mesin. Redaksi berharap jurnal TORSI ini akan berkembang menjadi jurnal yang berkualitas, memilki bobot ilmiah yang cukup tinggi, dan terakreditasi. 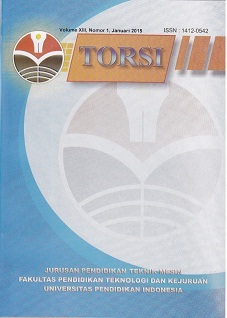 Penerbitan kali ini merupakan penerbitan edisi kesepuluh dari Jurnal TORSI. Dengan terbitnya kembali jurnal TORSI ini diharapkan dapat kembali menampung, menyebarluaskan dan mempublikasikan karya-karya para peneliti, penulis, dan semua pihak yang berkecimpung dalam bidang ilmu teknik mesin. Passage is an anthology of articles from students of English Language and Literature study program at Indonesia University of Education Bandung. It publishes twice a year: October and April. 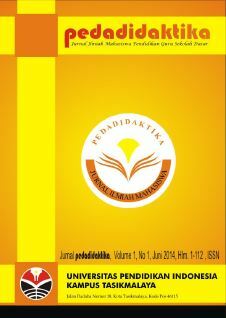 The articles in each issue are based on undergraduate students' final paper (skripsi). Only students who have passed final examination of sidang sarjana and obtained approval from their supervisors can submit the articles to be published for this anthology. 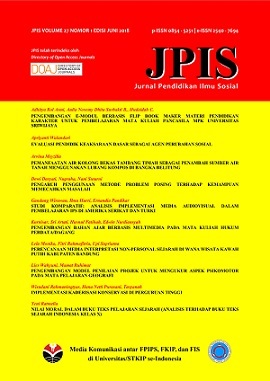 Image : Jurnal Riset Manajemen with registered number ISSN 2339-2878 (Print) and ISSN 0000-0000 (Online), is a peer-reviewed journal published two times a year (April and November) by Program Studi Manajemen Fakultas Pendidikan Ekonomi dan Bisnis Universitas Pendidikan Indonesia. 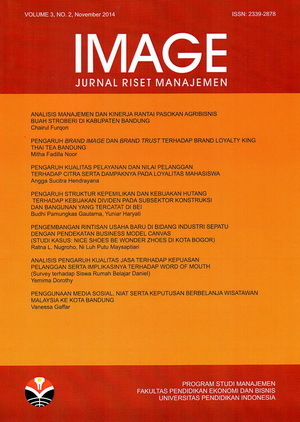 IMAGE is intended to be the journal for publishing articles reporting the results of research on business. JASSI Anakku adalah jurnal dalam bidang pendidikan khusus, oleh karena itu jurnal ini berisikan keilmuan bidang pendidikan khusus baik dari hasil penelitian maupun hasil pemikiran. Bidang keilmuan yang dimuat dalam jurnal berupa hasil penelitian, kajian, dan gagasan bidang pendidikan anak berkebutuhan khusus, utamanya tentang assesmen dan intervensi. JASSI Anakku terdiri dari dua bentuk yaitu jurnal offline dan jurnal daring atau online, dan terbit dua kali dalam satu tahun. Jurnal Pendidikan Keperawatan Indonesia(JPKI) merupakan sarana pengembangan dan publikasi karya ilmiah bagi para peneliti, dosen dan praktisi keperawatan dan kesehatan. 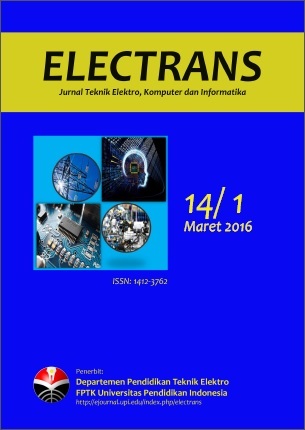 JPKI adalah jurnal cetak dan elektronik dengan sistem open access journal. JPKI menerbitkan artikel-artikel dalam lingkup keperawatan dan kesehatan secara luas namun terbatas terutama bidang pendidikan keperawatan. Artikel harus merupakan hasil penelitian, studi kasus, hasil studi literatur, konsep keilmuan, pengetahuan dan teknologi yang inovatif dan terbaharu dalam lingkup ilmu keperawatan baik dalam skala nasional dan internasional. Artikel akan ditelaah secara peer review oleh mitra bestari dari berbagai institusi. Journal of Business Management Education (JBME) is an online journal of undergraduate student in Business Management Education Departement, Faculty of Business Management Education, Universitas Pendidikan Indonesia. Publishing every three times a year in May, September and December. JBME contains scientific papers and or part of the thesis of undergraduate students. The primary editorial objective of the JBME is to provide a forum for the dissemination of theory and research in all areas of education, business, management, and entrepreneurship which would be of interest to academics and practitioners. 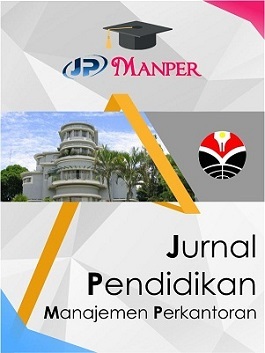 Jurnal Pendidikan Manajemen Perkantoran (JPMANPER) diterbitkan secara online oleh Program Studi Pendidikan Manajemen Perkantoran, Fakultas Pendidikan Ekonomi dan Bisnis, Universitas Pendidikan Indonesia. Jurnal ini mempublikasikan hasil penelitian dan kajian teoritis mengenai Pendidikan Manajemen Perkantoran dan kajian terkait lainnya, terutama proses pembelajaran di Sekolah Menengah Kejuruan yang berkaitan dengan manajemen kearsipan, sistem manajemen mutu, komunikasi kantor, manajemen sumber daya manusia, manajemen sistem informasi, kewirausahaan, dan perilaku organisasi sekolah. Terbit pertama kali pada bulan Agustus 2016, jurnal ini kemudian terbit secara berkala dua kali dalam setahun, pada bulan Januari dan Juli, sejak 2017, dengan menggunakan Bahasa Indonesia dan Bahasa Inggris dalam publikasinya. Jurnal Edulibinfo merupakan jurnal pada bidang kajian Perpustakaan dan Ilmu Informasi (Perpusinfo) yang diterbitkan oleh Program Studi Perpustakaan dan Ilmu Informasi, Departemen Kurikulum dan Teknologi Pendidikan, Fakultas Ilmu Pendidikan, Universitas Pendidikan Indonesia. Jurnal ini mempublikasikan hasil penelitian pada program studi perpustakaan dan ilmu informasi dalam kajian perpustakaan dan ilmu informasi.Terbit dua kali dalam setahun, Mei dan November. Jurnal Pedagogik Pendidikan dasar (JPPD) merupakan media berkala ilmiah yang diterbitkan oleh Departemen Pedagogik Prodi PGSD bekerjasama dengan Asosiasi Pendidikan Profesi Guru. JPPD mempublikasikan hasil penelitian dan telaah pendidikan pada bidang kependidikan dasaran, baik ditinjau dari aspek kebijakan, pedagogi, sains, matematika, sosial, bahasa, kewarganegaraan, agama, seni, budaya, pendidikan jasmani dan olah raga, psikologi, strategi, teknologi, media serta evaluasi pembelajaran. PEDADIDAKTIKA: Jurnal Ilmiah Pendidikan Guru Sekolah Dasar adalah jurnal berkala ilmiah yang diterbitkan dua kali satu tahun (Juni-Desember) yang mempublikasikan hasil penelitian orisinal tentang pendidikan guru sekolah dasar. Jurnal ini bertujuan untuk mengembangkan konsep, teori, perspektif, paradigma, dan metodologi dalam kajian ilmu pendidikan guru sekolah dasar. Sosio Religi (Journal of General Education / Values) was published twice in March and September which was published by the FPIPS Department of General Education, University of Education and Association of Lecturers and Scholars of General / Value of Indonesian Education (Asosiasi Dosen dan Sarjana Pendidikan Umum/Nilai Seluruh Indonesia (ADSPENSI)). The Sosio Religi Journal contains articles that are taken from research results (original paper). Learning is an anthology of articles from students of English Education study program at Indonesia University of Education. It publishes twice a year: October and April. 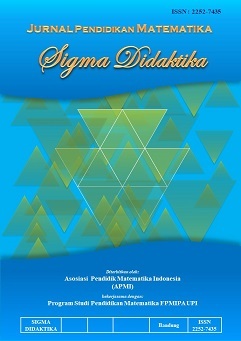 The articles in each issue are based on undergraduate students' final paper (skripsi). 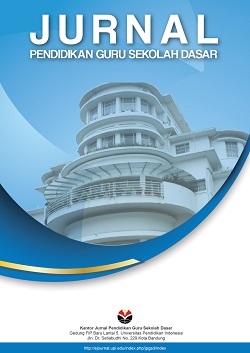 Jurnal Pendidikan Guru Sekolah Dasar (JPGSD) dipublikasikan oleh Program Studi Pendidikan Guru Sekolah Dasar (PGSD) Fakultas Ilmu Pendidikan Universitas Pendidikan Indonesia. Jurnal ini mempublikasikan hasil penelitian mahasiswa tingkat akhir (Skripsi) tentang kependidikan dasaran dan pendidikan profesi guru sekolah dasar (PPGSD). Keaslian isi naskah di setiap artikel menjadi tanggungjawab masing-masing para penulis yang tercatat dalam artikel. Jurnal Pendidikan Non Formal dan Informal sebagai jurnal pendidikan sosial dan pembangunan masyarakat yang mempublikasikan hasil penelitian dan artikel dalam kajian pendidikan orang dewasa, pendidikan sepanjang hayat, penyelenggaraan pendidikan dan pembelajaran dalam setting pendidikan nonformal dan informal. Jurnal ini diterbitkan 2 kali dalam setahun yaitu pada Bulan April dan Oktober. Fesyen Perspektif merupakan Jurnal yang dikelola oleh program studi Pendidikan Tata Busana, sebagai tempat yang mewadahi berbagai hasil karya ilmiah mahasiswa dan pengajar di lingkungan Prodi Pendidikan Tata Busana Departemen PKK FPTK UPI. Terbit dua kali setahun pada bulan April dan Oktober, berisi tulisan yang diangkat dari hasil penelitian, gagasan konseptual, aplikasi teori dan kajian analitis kritis di bidang fesyen (mode busana, pembuatan busana, desain busana, tekstil, kriya tekstil, dan tata rias). Fesyen Persfektif menampilkan hasil kajian yang membuktikan bahwa fashion sebagai kebutuhan utama manusia mengalami perkembangan dan perubahan. Kecenderungan perubahannya meliputi berbagai aspek yang melingkupi kehidupan manusia. Pelaku fashion khususnya para akademisi bidang fashion memberikan perhatianya dengan mengkaji kreatifitas, aspek fungsional dan aspek estetik dari fashion. JOMSIGN: Journal of Multicultural Studies in Guidance and Counseling is published by Departement of Educational Psychology and Guidance, Faculty of Education, Universitas Pendidikan Indonesia is interdisciplinary forum for educators, counselor, psychologists, and sociologists who study how cultural differences in the educational, development, and social experience, affect the behavior of the individual. The JOMSIGN focuses on issues of cross-culture that is important today, including individualism, self improvement, acculturation, family values change, a comparison of ethnic groups, gender differences, and personality. The JOMSIGN has been equipped with ISSN 2549-7065 (print) and ISSN 2549-7073 (online). The journal was published regularly twice a year, in March and September. Cakrawala Dini is a peer-reviewed scientific journal that publishes different kinds of scientific articles based on the research-article and ideas-article. All topics that we received only articles relating to early childhood education fields. For research category, articles can be written using quantitative and qualitative approaches, and can be made in a variety of research designs, such as action research, experiments, and case studies. This journal was published since 2012 twice a year every May and November, and published by the Indonesia University of Education Cibiru Campus, Early Childhood Education Teacher Education study program and APG PAUD Indonesia. All the articles published in this journal have a unique DOI number with a prefix 10.17509. Riksa Bahasa merupakan jurnal yang mempublikasikan kumpulan artikel hasil penelitian-penelitian dan telaah di bidang bahasa, sastra, tradisi lisan dan pembelajarannya. Jurnal ini dikelola oleh Program Studi Pendidikan Bahasa Indonesia, Sekolah Pascasarjana, Universitas Pendidikan Indonesia. 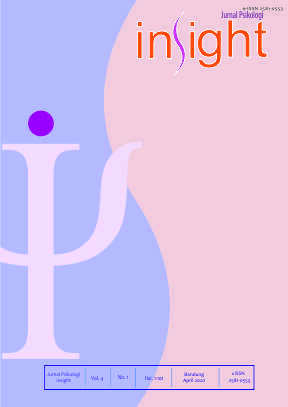 This journal is a journal of psychological research from researchers in Indonesia and abroad that includes all kinds of psychology studies such as educational psychology, clinical psychology, social psychology, developmental psychology, industrial and organizational psychology, or other more specific psychological studies. 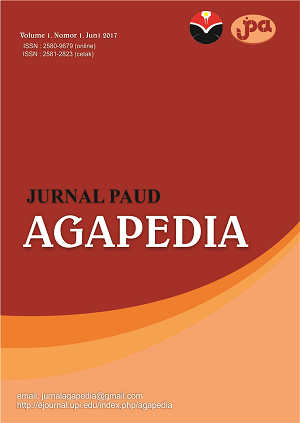 Jurnal PAUD Agapedia adalah jurnal yang mempublikasikan hasil-hasil kajian dan penelitian terkait pendidikan anak usia dini dari perspektif mutidisipliner. Jurnal ini bertujuan untuk memperluas dan menciptakan inovasi konsep, teori, paradigma, perspektif dan metodologi dalam mengembangkan pendidikan anak usia dini. SpoRTIVE adalah kumpulan artikel ilmiah hasil skripsi mahasiswa pada Program Studi PGSD Penjas Universitas Pendidikan Indonesia Kampus Sumedang. Cakupan dari jurnal ini meliputi kajian tentang Pendidikan Jasmani, dan Inovasi Pembelajaran di Bidang Penjas melalui penelitian dalam desain Penelitian Tindakan Kelas dan Eksprerimen. Jurnal SporTIVE diterbitkan secara online oleh Program Studi PGSD Penjas Universitas Pendidikan Indonesia Kampus Sumedang mulai tahun 2016. Jurnal Mimbar Pendidikan Dasar adalah jurnal yang memuat artikel-artikel hasil penelitian dan gagasan pada tataran pendidikan dasar. Jurnal terbit dua kali dalam setahun, yaitu di bulan Februari dan September. Jurnal diterbitkan oleh Program Studi PGSD Penjas Universitas Pendidikan Indonesia Kampus Sumedang. 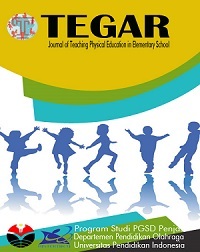 TEGAR, Journal of Teaching Physical Education in Elementary School, is a peer review journal, specializing on reviewing of teaching and learning researches and conceptual review of the teaching innovation on models, approaches, strategies and styles conducted in Elementary Schools, in the setting of teaching Basic Fundamental Movements, Games, Dances, and Gymnastics, and mostly in the implementation of teaching models, strategies, approaches, and teaching styles to improving the benefit of PE for fostering children’s quality in life. Jurnal elektronik EDUJAPAN merupakan jurnal yang memuat hasil-hasil penelitian yang dilakukan oleh mahasiswa/i Departemen Pendidikan Bahasa Jepang, Fakultas Pendidikan Bahasa dan Sastra, Universitas Pendidikan Indonesia. Artikel-artikel yang dimuat pada jurnal EDUJAPAN merupakan ringkasan hasil penelitian yang berhubungan dengan pendidikan bahasa Jepang dan pengajarannya. Terbit sebanyak dua kali dalam setahun, yaitu pada bulan April dan Oktober. Jurnal EurekaMatikan (e-ISSN: 2528-4231) was first published annually on December 2013, and then since 2017 has been published twice a year, on June and December. 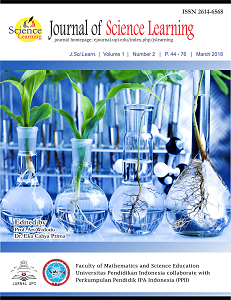 JEM is a peer-reviewed Mathematics journal with its scope covers Algebra, Analysis, Statistics, and Applied Math. This journal is published by Mathematic study program of Indonesia University of Education (Universitas Pendidikan Indonesia) collaborates with Himpunan Peneliti dan Pendidik Matematika Indonesia (HIPPMI). This Journal has been index by Portal Garuda. The Educational Administration Research and Review (EARR) is the international refereed journal in the field of educational leadership and management founded first in 2017 initiated by the Educational Administration Program School of Post Graduate Universitas Pendidikan Indonesia. The EARR has sought to publish research on educational administration conducted across diverse political, economic and socio-cultural contexts. Indeed, publications featured in EARR have both anticipated and traced the evolution of educational administration into a global field of research and practice. Jurnal Media Pendidikan Gizi dan Kuliner (JMPGK) merupakan jurnal enam bulanan yang memuat naskah di bidang pendidikan, gizi, dan kuliner. Ruang lingkup dari JMPGK berupa hasil penelitian dan kajian analitis-kritis di bidang Pendidikan, Gizi, dan Kuliner. Pemuatan artikel di jurnal ini dialamatkan ke kantor editor. Informasi lengkap untuk pemuatan artikel dan petunjuk penulisan artikel tersedia di dalam setiap terbitan. Artikel yang masuk akan melalui proses seleksi mitra bestari atau editor. Jurnal ini terbit secara berkala sebanyak dua kali dalam setahun yaitu April dan November. Assimilation: Indonesian Journal of Biology Education (AIJBE), ISSN 2621-7260 (Online) is a peer-reviewed scientific journal published by Department of Biology Education, Faculty of Mathematics and Natural Sciences, Indonesia University of Education collaborates with Perkumpulan Pendidk IPA Indonesia (PPII)/Indonesian Society for Science Educators. Assimilation: Indonesian Journal of Biology Education (AIJBE) published a scientific paper on the results of the study/research and review of the literature in the sphere of biology education includes: learning strategy, learning media, assessment, teaching materials, curriculum, and teacher professional development. 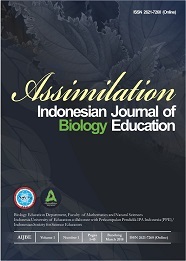 Assimilation: Indonesian Journal of Biology Education (AIJBE) is first published in March 2018 and covers many research in all level of education (primary, secondary, and higher education). The publication frequency is twice a year in March and September. Editors welcome scholars, researchers, and practitioners of education around the world to submit scholarly articles to be published through this journal. All articles will be reviewed by experts before accepted for publication. Each author is solely responsible for the content of published articles. Editors accept the article has not been published in other media with the writing format as listed on page manuscript writing guidelines (click here). The International Journal of Business Review (The Jobs Review) with the registered number e-issn 2621-413X and p-issn 2621-7317 and is published by Faculty of Economics and Business Education It is published twice a year in June and December. 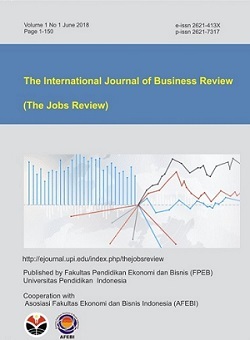 The International Journal of Business Review (The Jobs Review) accepts manuscripts of either quantitative research, qualitative research, mix method research, and Research and Development (R&D) written in English. 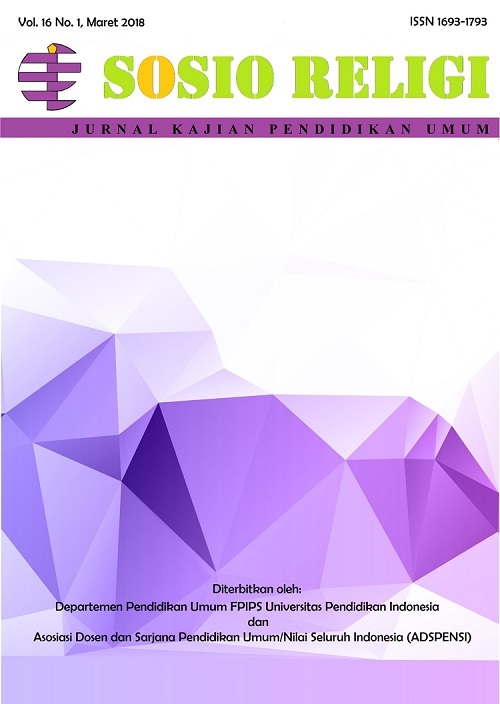 Indonesian Journal of Primary Education adalah jurnal berkala ilmiah yang diterbitkan dua kali setahun (Juni-Desember) yang mempublikasikan hasil penelitian orisinal tentang pendidikan dasar dan pendidikan guru sekolah dasar. Jurnal ini bertujuan untuk mengembangkan konsep, teori, perspektif, paradigma, dan metodologi dalam ruang lingkup pendidikan dasar dan pendidikan guru sekolah dasar meliputi kurikulum, bahan ajar, media, metode, dan evaluasi pembelajaran sekolah dasar. Sejak tahun 2017, jurnal ini diterbitkan oleh Program Studi PGSD UPI Kampus Tasikmalaya dengan Himpunan Dosen PGSD Indonesia. 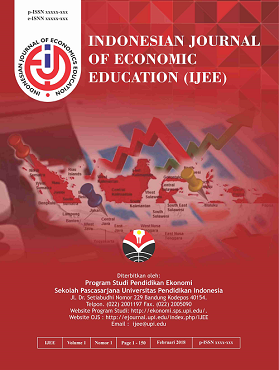 Indonesian Journal of Economics Education (IJEE) is published by Program Studi Pendidikan Ekonomi Sekolah Pascasarjana Universitas Pendidikan indonesia. It is published twice a year in February and August. Indonesian Journal of Econmics Education (IJEE) publishes papers in the field of Economics Education that give a contribution to the development of Economics Education. We accept mainly research-based articles related to accounting science and finance. The scopes of the topics include (1) Economics Education (2) Accounting Education (3) Business Education. Editorial Team welcome submissions of papers describing researchers, practitioners, regulators, students, and other parties interested in the development of Economics Education. Indonesian Journal of Econmics Education (IJEE) accepts manuscripts of either quantitative research, qualitative research, mix method research, and Research and Development (R&D) written in either Bahasa Indonesia or English. 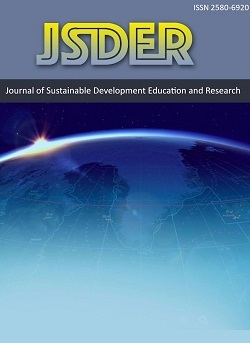 Journal of Sustainable Development Education and Research (JSDER) (ISSN: 2580-6920) is a referred online journal published by School of Postgraduate Studies, Universitas Pendidikan Indonesia (SPS UPI). 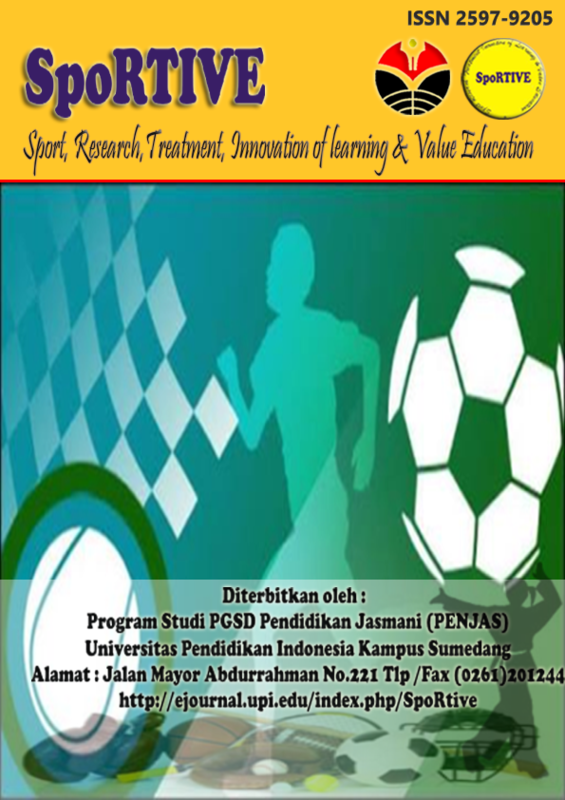 The International Journal of Sport Science, Health and Physical Education (IJSSHPE) is biannual journal issued on January and August by Faculty of Sport and Health Education, Universitas Pendidikan Indonesia, Indonesia. 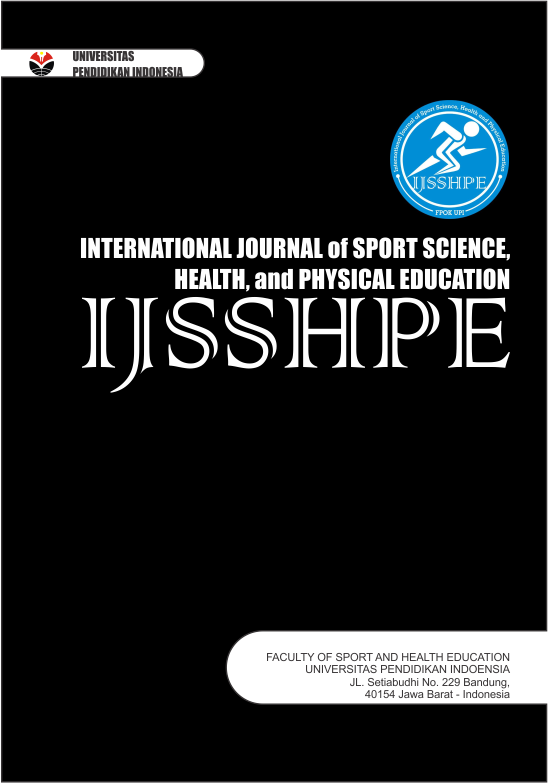 IJSSHPE is an open access and blind peer-reviewed journal, which is a dissemination medium for research results and review from scientists and practitioners in a variety of fields on sport science, health and physical education. Gastur adalah jurnal peer-reviewed yang dikelola dan diterbitkan oleh Program Studi Manajemen Industri Katering Universitas Pendidikan Indonesia. Gastur terbit secara periodik (1 tahun 2 kali terbit) bulan April dan Oktober dengan jumlah 6 artikel setiap kali terbit (12 artikel per tahun). Gastur tersedia gratis (Open Access) untuk seluruh pembaca dan mencakup perkembangan dan penelitian dalam bidang Wisata Gastronomi yaitu: 1. Catering Industry 2. Food & Beverage Industry 3. Gastronomy Tourism. 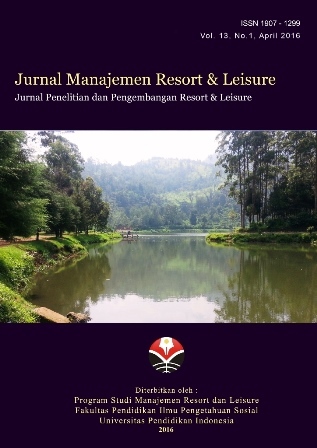 Journal of Indonesian Tourism, Hospitality, and Recreation merupakan jurnal ilmiah yang diterbitkan dua keluaran (issues) dalam setahun pada bulan April dan Oktober. Redaksi juga turut mengundang para peneliti dan praktisi untuk dapat mengirimkan artikel berupa laporan hasil penelitian, pemikiran-pemikiran, maupun tulisan akademik, khususnya yang berkaitan dengan kepariwisataan, perhotelan dan rekreasi luar ruang. Perlu dipahami sebelumnya, artikel yang hendak dikirimkan merupakan artikel yang belum pernah dimuat atau dipublikasikan di jurnal berkala ilmiah lainnya. Journal of Indonesian Tourism, Hospitality, and Recreation is a tourism scientific journal which will be published in the April and October editions. Editors also encourage researchers to be able to publish articles such as research results, thoughts, and academic writings, especially those relating to tourism, hospitality and outdoor recreation. It needs to be understood beforehand, articles that will be submitted are never been published before. 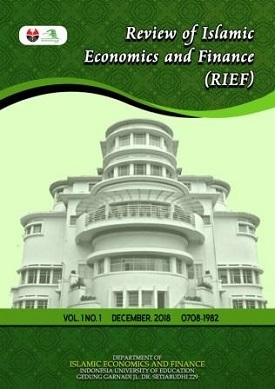 RIEF is a peer-reviewed international journal on Economics that published by Faculty of Economic and Business Universitas Pendidikan Indonesia (UPI) Bandung -Indonesia. This journal focused on Islamic Economic studies -especially on Indonesia's economy and society- and present developments through the publication of articles. Specifically, the journal will deal with topics: Islamic macroeconomics, Islamic microeconomics, Islamic development economics, Islamic monetary economics, Islamic public economics, Islamic political economics, industrial organization, and Islamic demography. RIEF specializes in Islamic Economics and is intended to communicate original research and current issues on the subject. This journal warmly welcomes contributions from scholars of related disciplines. Specifically, the journal will deal with topics, including but not limited to: Islamic macroeconomics, Islamic microeconomics, Islamic development economics, Islamic monetary economics, Islamic public economics, etc. 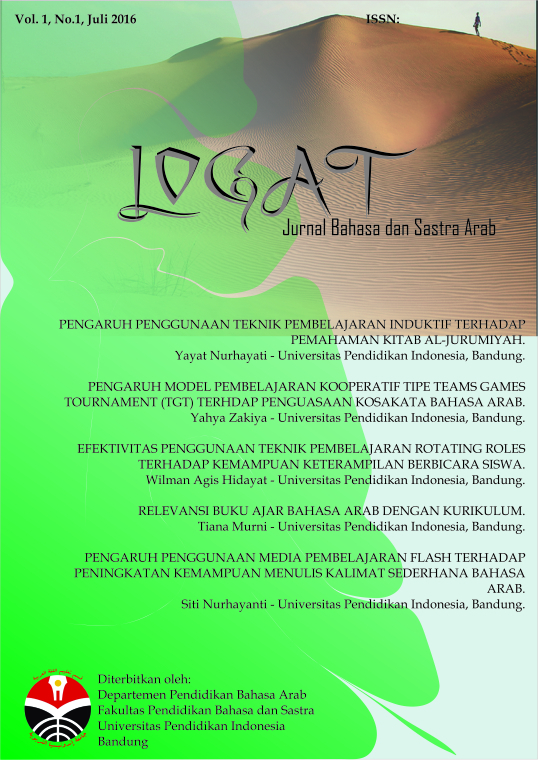 Jurnal ALSUNIYAT merupakan jurnal ilmiah di bidang pendidikan bahasa, sastra dan budaya Arab, diterbitkan oleh Departemen Pendidikan Bahasa Arab Fakultas Pendidikan Bahasa dan Sastra Universitas Pendidikan Indonesia. Jurnal Alsuniyat berisi tulisan hasil pemikiran dan penelitian di bidang pendidikan bahasa, sastra dan budaya Arab. Cakupan topik meliputi: 1) Pembelajaran Bahasa dan Sastra Arab, 2) Inovasi pembelajaran bahasa dan sastar Arab, 3) kajian budaya Arab, 4) Linguistik Arab. Terbit setiap Bulan April dan Nopember. 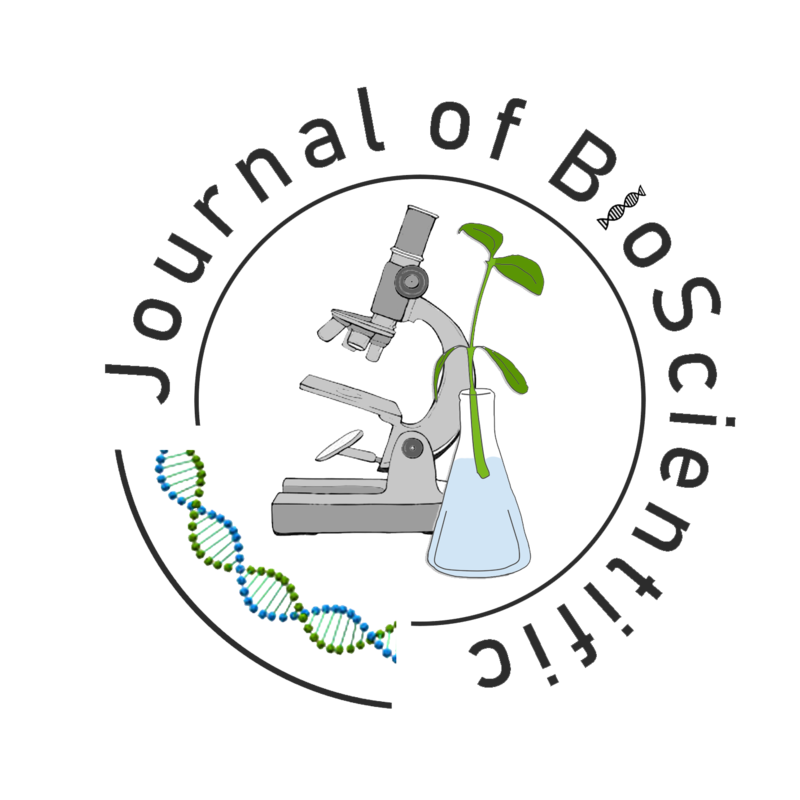 Journal of BioScientific is a biannual peer reviewed journal publishes original research articles in biology and is published by Biology Study Program of Universitas Pendidikan Indonesia in associated with Konsorsium Biologi Indonesia (KOBI). We published articles covering Environmental sciences (General ecology, environmental toxicology, bioremediation, environmental modeling, environmental ethics, biomanagement), Biodiversity (Biostructure, taxonomy, evolution, biosystematics, conservation, ethnobiology, Biotechnology (Molecular genetics, biomedicine, nanobiology, microbiology, bioengineering, cell culture), and Physiology (Animal, plant, and human physiology, health). Current Research in Education: Conference Series Journal adalah jurnal yang secara khusus mendiseminasikan tulisan-tulisan hasil seminar. Sampai saat ini, banyak tulisan yang dibuat ke dalam prosiding cetak, namun tidak bisa diakses secara luas karena tidak dipublikasikan secara online. Oleh karena itu, jurnal ini diharapkan menjadi wadah bagi para penyelenggara seminar untuk mempublikasikan tulisan-tulisan yang terpilih. Jurnal ini terindeks oleh Google Scholar. 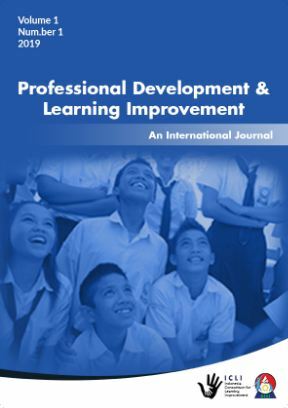 Professional Development and Learning improvement is an open access and peer-reviewed journal, published by Universitas Pendidikan Indonesia, which is a dissemination medium for research result from scientists and engineers in many fields of science and technology. PDLI is a biannual journal issued on April and September.The editors welcome submissions of papers describing recent theoretical and experimental research related to: (1) Theoretical articles; (2) Empirical studies; (3) Practice-oriented papers; (4) Case studies; (5) Review of papers, books, and resources. 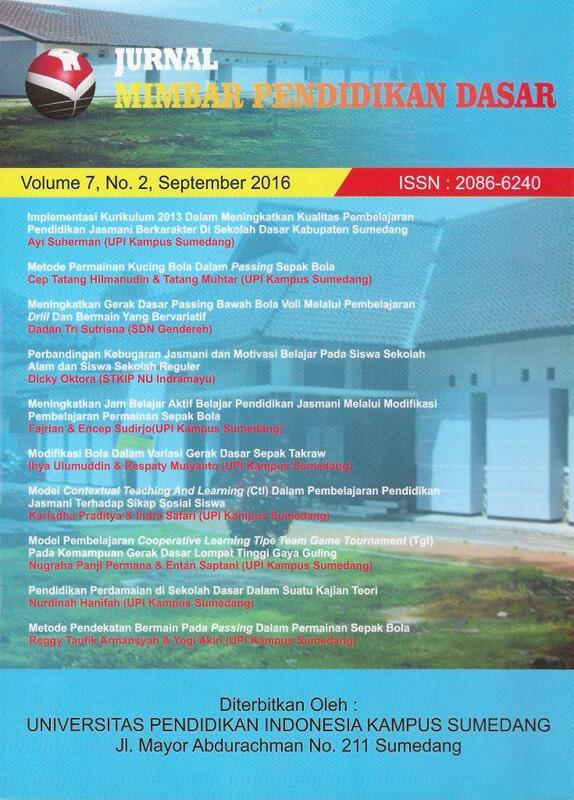 INTEGRATED is a scientific journal published by the Department of PSTI UPI Kampus Purwakarta. This journal contains scientific papers from Academics, Researchers, and Practitioners about research on information system and vocational education. 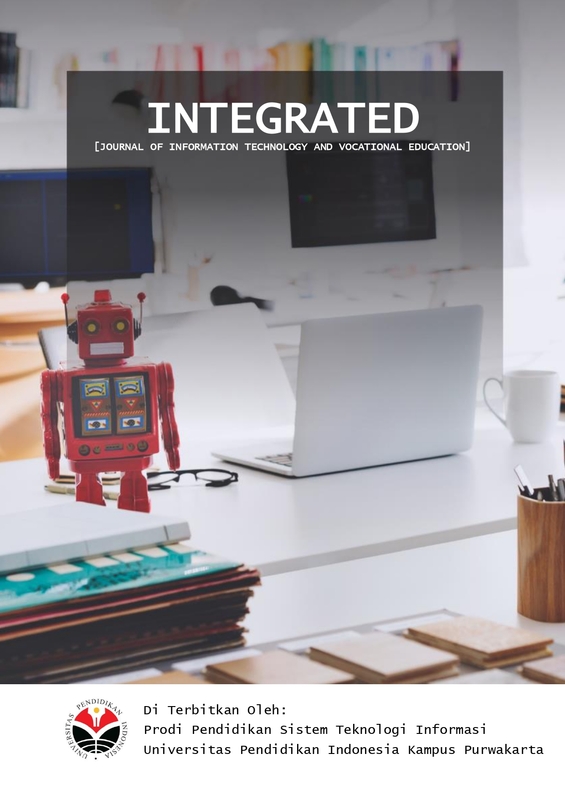 INTEGRATED is published twice a year in April and October. The paper is an original script and has a research base on information system and vocational education. The scope of the paper includes several studies but is not limited to the following study. Thus, we invite Academics, Researchers, and Practitioners to participate in submitting their work to this journal. 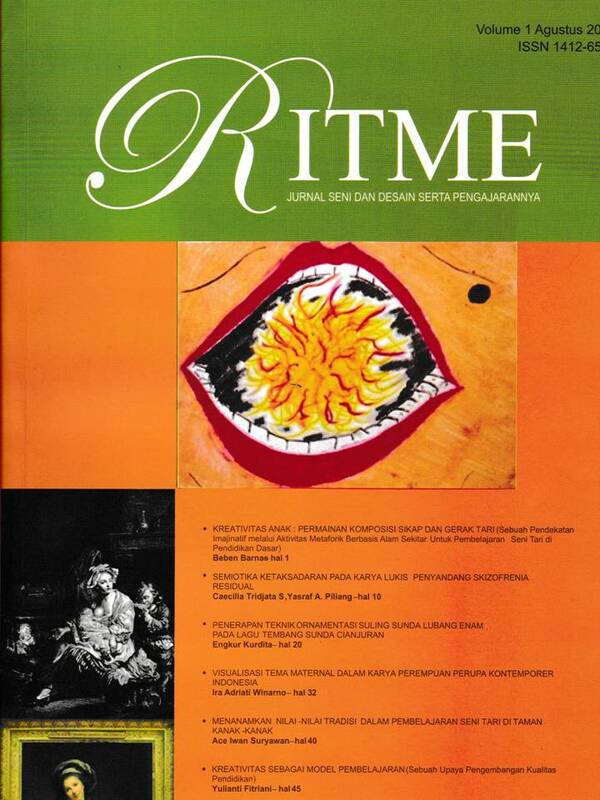 Jurnal Ritme (Seni dan Desain serta Pengajarannya)diterbitkan oleh Fakultas Pendidikan Seni dan Desain Universitas Pendidikan Indonesia dua kali dalam setahun, bulan Februari dan Agustus. Ruang lingkup topik artikel meliputi pembelajaran seni dan desain, inovasi pembelajaran seni, model pembelajaran seni, strategi pembelajaran seni, pendekatan pembelajaran seni, evaluasi pembelajaran seni, media dan teknologi pembelajaran seni, kajian seni, kajian budaya, kajian desain dan kajian sejarah seni, desain dan budaya. Antologi Mahasiswa Departemen Seni Tari UPI FPSD UPI Merupakan publikasi ilmiah. berbasis penelitian Skripsi mahasiswa dan terbit tiga kali dalam satu tahun. (April, Agustus, Desember). Jurnal Antologi Departemen Pendidikan Seni Musik FPSD UPI merupakan publikasi ilmiah berbasis penelitian skripsi mahasiswa dan terbit tiga kali dalam satu tahun (April, Agustus dan Desember). Journal of Architectural ZONASI is an online open access journal. It features articles on a wide range of issues in architecture, including architectural history and theory, dwelling culture, building technology, and material science, architectural design, interior design, landscape architecture, heritage and conservation, and urbanism. The journal has regularly published three times a year in February, June, and October, the journal welcomes contributions from all over the world. The articles are written in Indonesian or English. All materials submitted to Journal of Architectural ZONASI are subject to rigorous peer review. Journal of Architectural Research and Education (JARE) is an online open access journal. It features articles on a wide range of issues in architecture, including architectural history and theory, dwelling culture, building technology, and material science, architectural design, interior design, landscape architecture, heritage and conservation, urbanism, and architectural education research. Journal of Architectural Research and Education (JARE) is a biannual journal issued on April and November, the journal welcomes contributions from all over the world. The articles are written in English. All materials submitted to Journal of Architectural Research and Education (JARE) are subject to rigorous peer review. OPTIMA: Journal of Guidance and Counseling is an open access and peer-reviewed journal, published by Universitas Pendidikan Indonesia, is a media for research result from scientist and academician in Educational Psychology and Guidance Counseling field. OPTIMA is a biannual journal issued on April and September. The editors welcome submissions of papers describing recent theoretical and experimental research related to: (1) Theoretical articles; (2) Empirical studies; (3) Practice-oriented papers; (4) Case studies; (5) Review of papers, books, and resources. The policy, practices and developments of the above topics, the curriculum, pedagogy, as well as new empirical and theoretical works are welcome. The editors welcome informed papers from new and established scholars which encourage and enhance academic debate. The journal offers two publications a year, in April and October. The Board invites researchers and/or practitioners in education to share their experiences and researches by submitting their work using our submission links. Jurnal Civicus (Civicus Journal) is a periodic scientific journal that is published twice a year (June and December) that publishes the results of original and recent research on Citizenship Education. This journal aims to develop concepts, theories, perspectives, paradigms, and methodologies in the study of the science of Citizenship Education. Civicus print ISSN is 1412-5463. TARBAWY: Indonesian Journal of Islamic Education. This journal focuses on Islamic education. It is expected to be the medium for the exchange of ideas, knowledge, information, and technology among experts and practitioners of Islamic education. TARBAWY is a biannual journal, issued in May and November. The editors welcome submissions of papers describing recent theoretical and experimental research related to theoretical articles, empirical studies, practice-oriented papers, and case studies in Islamic Education. Journal of Teacher Saung This is a response to the urgency of the needs of lecturers and teachers in order to demand careers as educators. (Jurnal Saung Guru ini merupakan jawaban atas urgensi kebutuhan para dosen dan guru dalam rangka tuntutan karir sebagai tenaga pendidik). 4. Learning in community education settings. 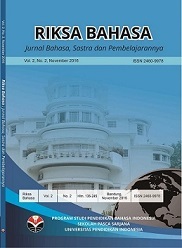 The journal is published in Bahasa and English. The e-journal provides free and open access to all of its content on our website. IJACE is a biannual journal issued on April and September. 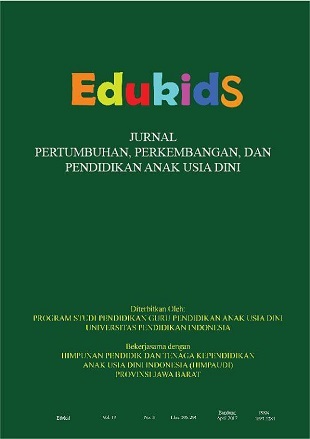 Jurnal Edukid adalah jurnal ilmiah di Program Studi Pendidikan Guru Pendidikan Anak Usia Dini Universitas Pendidikan Indonesia yang terbit sebanyak dua kali dalam setahun yaitu bulan April dan November. Jurnal ini memuat artikel hasil penelitian yang diproses melalui blind peer reviewed.Jurnal Edukid menerima artikel tentang pendidikan anak, perkembangan anak, kurikulum dan pembelajaran, IPTEKS bagi anak, kebijakan yang terkait dengan anak, pendidikan guru untuk anak usia dini, parenting, IPTEK bagi anak, serta bidang lain yang memiliki keterkaitan dengan anak usia dini. Jurnal Edukid bisa mewadahi para peneliti, dosen, pemerhati pendidikan anak, mahasiswa, praktisi di bidang pendidikan anak usia dini untuk mempublikasikan karyanya secara luas.